The conceptual artist Christo will create a Mastaba sculpture for London’s Hyde Park, which will float on the Serpentine lake during the summer, after Westminster Council approved the scheme, granting planning permission yesterday (23 January). The piece is linked to a show of works due to open at the nearby Serpentine Galleries (20 June-9 September), encompassing sculptures, drawings and photographs from the past 50 years by Christo and his late partner Jeanne-Claude. “In parallel with this exciting exhibition, Christo hopes to create his first large-scale temporary sculpture in the UK in the middle of the Serpentine Lake. Many years in the planning, this will be funded entirely by the artist,” a Serpentine spokeswoman says. According to the Evening Standard newspaper, the Mastaba will comprise 7,506 barrels placed on a platform of plastic cubes. Christo’s Floating Piers on Lake Iseo in Italy—the New York-based artist’s first outdoor installation since 2005—was the world’s most-visited work of art in 2016. Christo erected 3km of fabric-covered pontoons between an island and the shore, and invited the public to walk on water. In total, 1.2m people experienced the site-specific installation over 16 days. 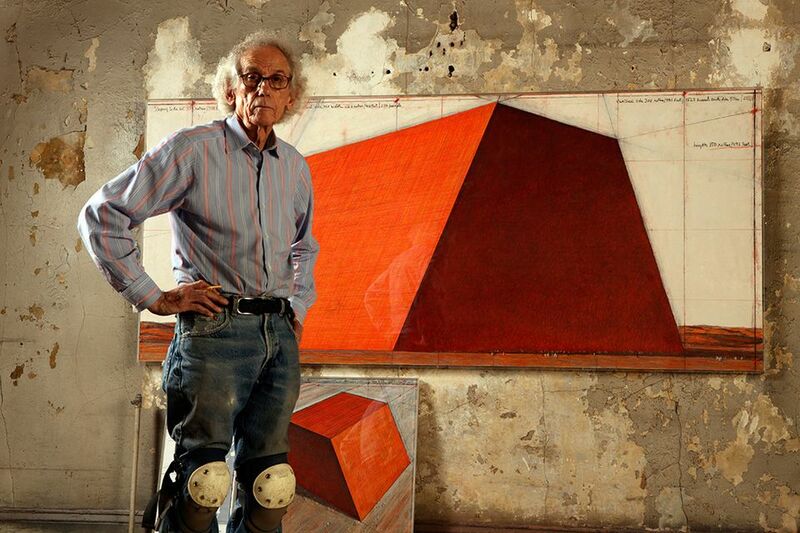 Last year, Christo told us that his long-awaited Abu Dhabi-based Mastaba project in the desert is still on track. The artist has been planning the 492-foot-tall structure, comprising 410,000 multi-coloured aluminium barrels, for 40 years. The permanent piece will bearranged in the trapezoidal shape associated with a type of Old Kingdom ancient Egyptian tomb. Early last year however, he pulled the plug on his Over the River project, which would have covered 42 miles of the Arkansas River in silver fabric for 14 days. After 20 years of planning, Christo said he had no interest in finishing the project under Donald Trump’s presidency.